Ireland’s Seniors Alert Scheme, which provides grants for over 65s to buy personal monitored alarms, has been cut by 53%. Last year €2.4m was allocated to the scheme run by the Department of the Environment, Community and Local Government. But under changes contained in December’s Budget and just announced, the funding has been cut to €1.1m. There has been widespread criticism of the decision, not least given the recent spate of robberies on the elderly around the country. Links to news stories on TANN Ireland. GE has generated much positive news with its creation, in partnership with accelerator StartUp Health, of a three-year program that will select 10 consumer health startups to become high-growth companies within three years. The announcement, timed during CES, makes much of GE’s contribution to a customized growth curriculum, access to GEs executives including a GE leadership mentor for each company and exposure to GE technology experts. Application is extremely qualified and selective (naturally); the deadline is also short, 8 February–information here. This program is also separate from the existing StartUp Health Academy, although companies in the Academy are eligible to apply. GE joins companies like Nike in a similar setup with TechStars; Qualcomm Ventures has the QPrize in addition to leading the way in funding and partnering with early-stage wireless health companies. 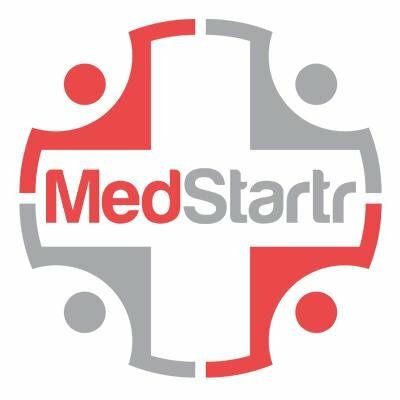 What is not in the release and the MedCityNews article is this, according to Upstart Business Journal: GE Ventures (GE’s investment arm) and the StartUp Health Innovation Fund will negotiate for a 2-10% equity stake in each company. To Editor Donna, what is also notable about GE’s latest foray into ’emerging health innovations’ is that it is Take 2…or perhaps 3. Take 1 was a sub-majority stake, then acquisition of Living Independently Group’s QuietCare in 2008-9, which was to herald an entire Home Health division. Its later relegation into the Care Innovations JV with Intel (Take 2, notably dominated by Intel) was seen by industry observers as a tacit admission of, if not precisely failure, GE’s lack of notable success or confidence in the sector. So we can fairly say that we are cheered that GE has changed its mind–and the accelerator route may be a kinder, gentler way of supporting innovators in consumer healthcare tech. For our readers: Do you believe that sensors in helmets and EHRs can mitigate this, which is where the NFL (and Army-NFL) funding is directed? Is this being found in other countries in contact sports such as rugby? Is there evidence, in other countries’ armed forces which have participated in Iraq and Afghanistan action, of suspected high frequencies of brain trauma? Here’s a link UK readers may want to email to their GPs, or their practice managers. It might do more good for the cause of telehealth than Department of Health endorsement or even 3ML publicity. In brief, NHS Stoke on Trent CCG has been running a clinical rollout of Simple Telehealth’s advice and interactive Florence SMS texting service and is now offering to fund a CCG’s licence for a year, including costs of at least 15,000 patient texts, and helping with implementing Florence across each participating CCG. See Telehealth no longer a remote possibility for general practice GP Online for details. Whether you pass it on or not, it is a good description of the system and the areas it covers, including a mapping of Florence to the NHS Outcomes Framework. Head-up thanks to Mike Clark. The latest news from the southeastern state of Victoria (Melbourne) features a blast from the state’s Health Minister on hundreds of millions in funding cuts, while the Federal minister claims that an additional AU$1 billion over four years is heading Victoria’s way. The debate continues (see TA 29 Dec for a lively reader discussion); is this reality or political blather? Telehealth rebate cut will hurt Vic: Davis Hat tip to reader Ellen ‘Ethical Lens’ Fink-Samnick. The much-rumored acquisition of major medical point-of-care reference database Epocrates by practice management/EHR leader Athenahealth has many good points for the latter, including the integration of drug interaction alerts into EHRs. Epocrates’ stumbles into mobile EHRs may also have, paradoxically, made it more attractive. But even with this, financial observers see Athenahealth as essentially sideways in terms of growth. But it may point to the major trends of 2013 your Editors have seen for awhile: a push for integration into easier-to-by ‘all in one’ packages; consolidation in order to stay in place in a muddling market. 4 observations about the $293 million athenahealth-Epocrates acquisition (MedCityNews) Editor Donna’s note: An interesting aside, for those who follow palace intrigues and the consolidation of the EHR market, is Allscripts’ ‘Christmas-surprise’ CEO dumping referred to at the end of the article, courtesy of financial analysis website Seeking Alpha. “All of us have beliefs – many of them subconscious, dating back to childhood – about what it means to get older. Psychologists call these ‘age stereotypes.’ And, it turns out, they can have an important effect on seniors’ health. When stereotypes are negative – when seniors are convinced becoming old means becoming useless, helpless or devalued – they are less likely to seek preventive medical care and die earlier, and more likely to suffer memory loss and poor physical functioning…” (Judith Graham, NYT/Herald Tribune: Older people become what they think – an interesting read.) Has anyone done any research on the psychological effect on people of offering them a pendant alarm? Press release writers please take note: Lake Superior State University 2013 List of Banished Words. More on YOLO here. 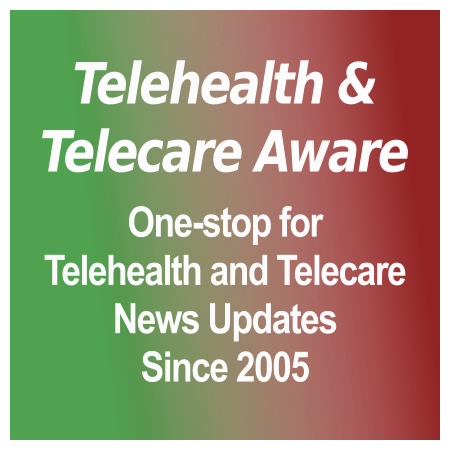 Can telehealth fit in the medicine cabinet? * The Five Big Questions (FBQs)–who pays, how much, who’s looking at the data, who’s actioning it, how data is integrated into patient records. The Rock Health accelerator for digital health did some tracking of its own–2012 investment action in the wide, wild world of digital health. Good news: investments were up 45% vs. 2011 to $1.4 billion. Not so great news: more than 20% of that was due to five large deals; out of 179 companies, only eight had invested in three or more companies. Many of the eight are familiar: Qualcomm Ventures, Aberdare Ventures, Merck Global Health Innovation Fund, NEA, West Health Investment Fund, BlueCross BlueShield Venture Partners, Council Capital and the ubiquitous Khosla Ventures. Most of these investments funded technologies relating to consumer engagement and personal health tracking. According to the bar chart in the article, most deals exceeded $5 million. Rock Health’s presentation (Slideshare). MedCityNews article. The US Defense Advanced Research Projects Agency (DARPA) is looking for a small business developer to provide a Portable Brain Recording Device and App–not just any EEG + app but one that is low-cost ($30), highly portable, easily usable in the field, easy to use sensors, and downloads high-fidelity data directly to a phone or tablet without an interface. Beyond the battlefield, it’s envisioned in civilian hospitals and commercial research adaptations. Specifications are contained in SB131-002 Portable Brain Recording Device & App, 13.1 Small Business Innovation Research (SBIR) here–read carefully all supporting material. On DARPA’s 2013 Wish List: Extreme Diving, Portable Brain Reading, And Gravity Vision (PopSci) Hat tip to TANN Ireland’s Toni Bunting. Kaiser Permanente may–or may not–have fully dodged a near-atomic data breach of over 300,000 patient records and more. A now-public dispute between Kaiser and a vendor which stored records for some of their Southern California hospitals has put Kaiser in the hot seat for its practices with both the California Department of Public Health and US Health and Human Services (HHS). This long-time vendor was sued by Kaiser initially for not returning all records after the contract ended, and for storing records in questionable circumstances including a shared warehouse storing party rental items and a Ford Mustang, plus other records on home computers and hard drives stored in open garages. The vendor countered by accusing Kaiser of not encrypting transfers of electronic files and sending patient data requests and other sensitive information via unencrypted email. By the end of the Los Angeles Times article, you’ll be holding your aching head in disbelief at both sides, while reaching for the Tylenol (or Panadol). Vast cache of Kaiser patient details was kept in private home. The Leap Motion gesture controller, widely tagged as the must-have gizmo of 2013 [TA 27 Dec] took one step forward from gizmo-dom by being bundled in selected ASUS PCs and notebooks by end of year. In the GizMag article are some stats on the controller–it can track the movement of the user’s hands at a ‘blistering’ 290 frames per second, tracking movements to 1/100th millimeter, far greater than Microsoft Kinect. A pointer to the nearby future for surgery, rehabilitation, personal connectedness. A surprisingly dim view, at the level of The Gimlet Eye’s, of the Quantified Self, by Deanna Pogorelc in MedCityNews. She leads off with a tweet with Eric Topol reporting his first patient with ‘cyberchondria’. What to do with the data other than worrying about it? Well, it seems that developers and car makers like Ford and BMW are insisting that we have it (yes, heart rate DOES go up in NYC rush hour traffic), but does the average, non-chronic-condition person know what to do with TMI (too much information) other than worry? “The heart of the quantified self movement is empowering patients with their own data, but some of the startups and research projects I’ve seen lately make me think that we are overestimating the total number of people who want it and know what to do with it.” Well said. Are we headed toward the over-quantified self?